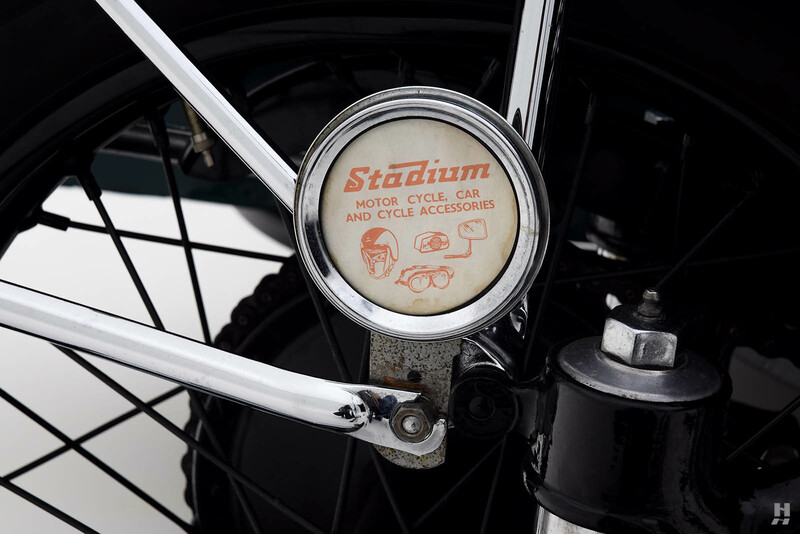 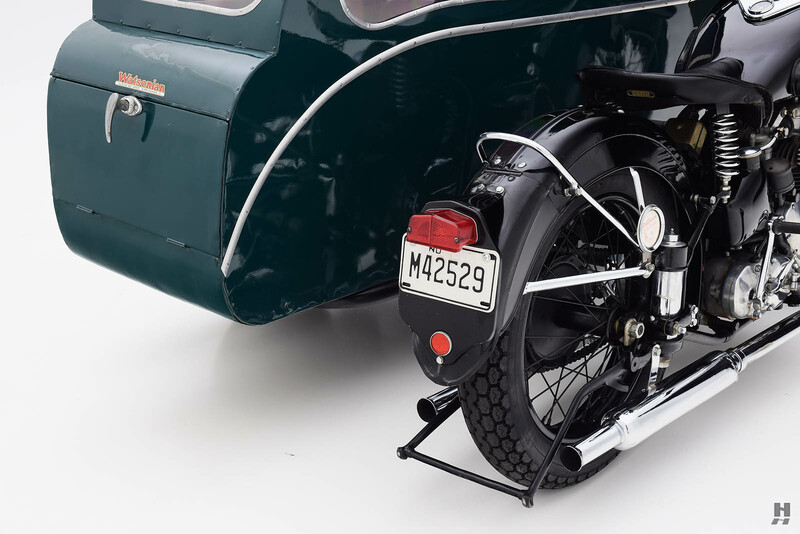 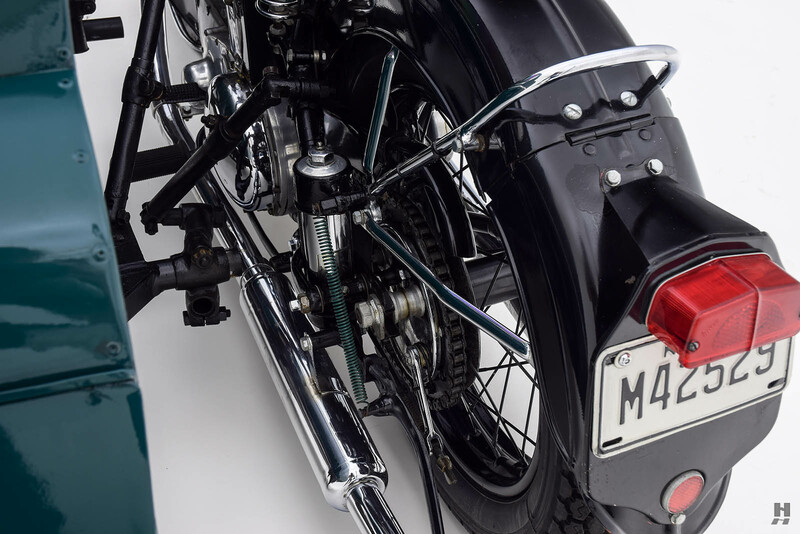 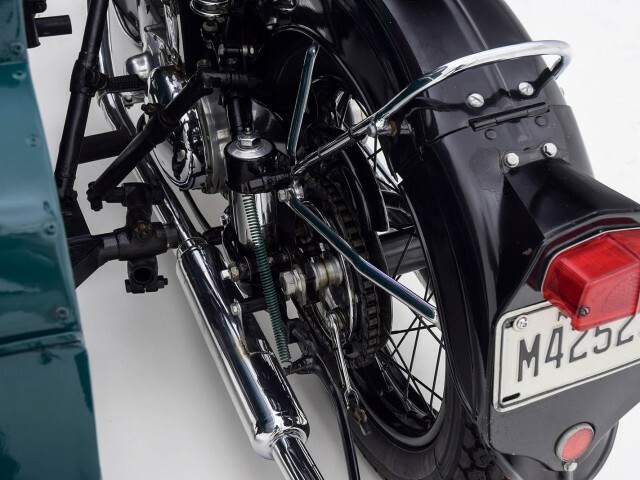 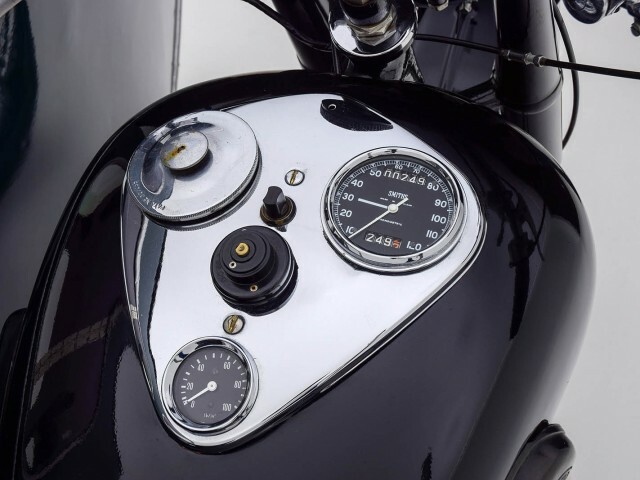 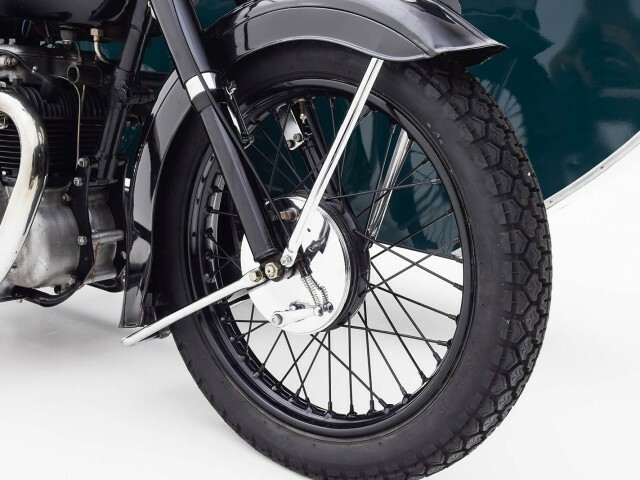 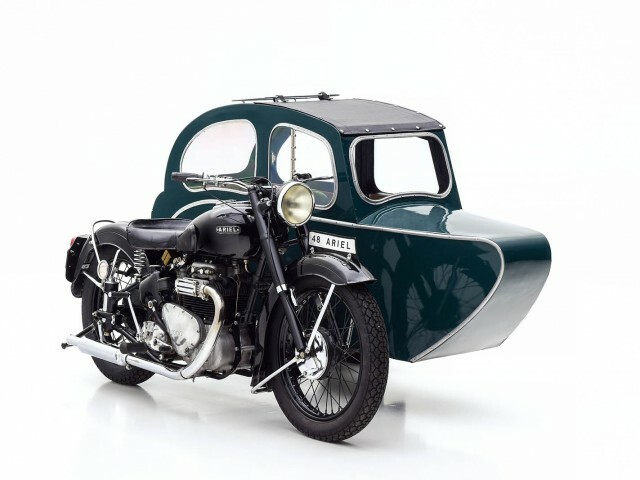 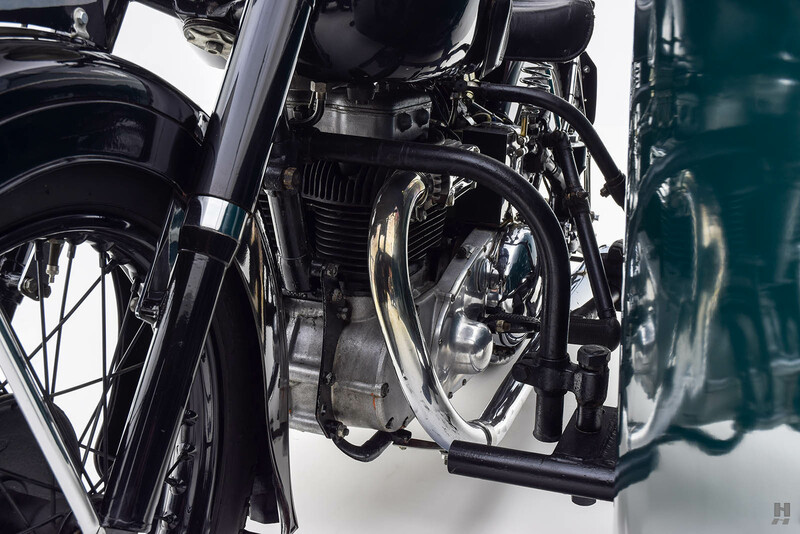 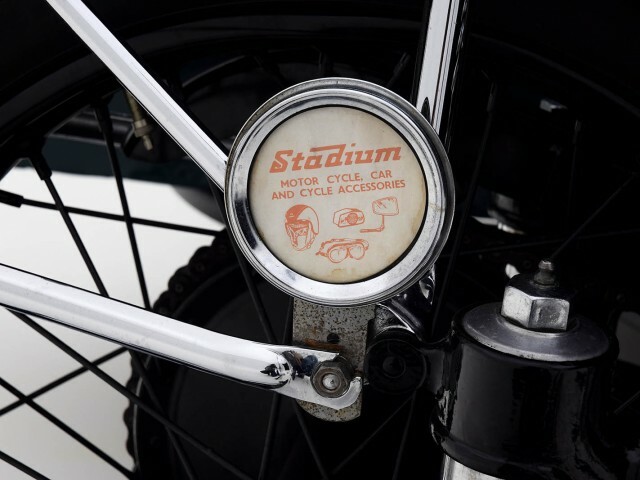 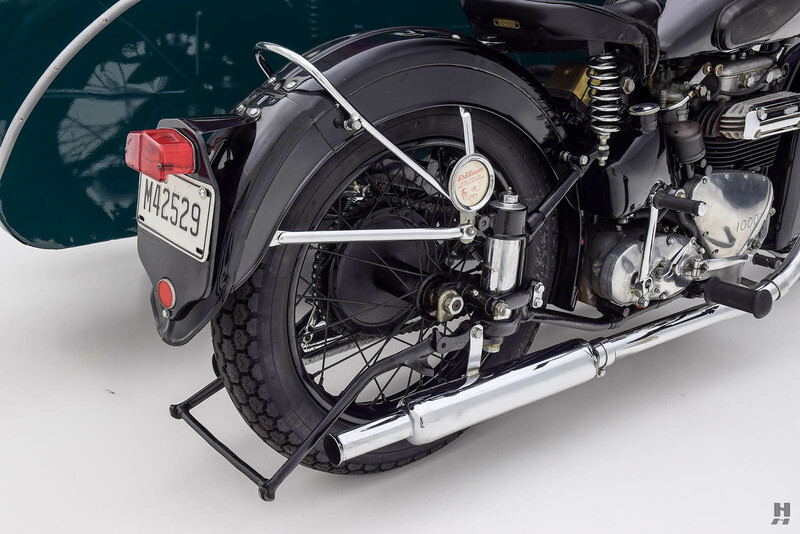 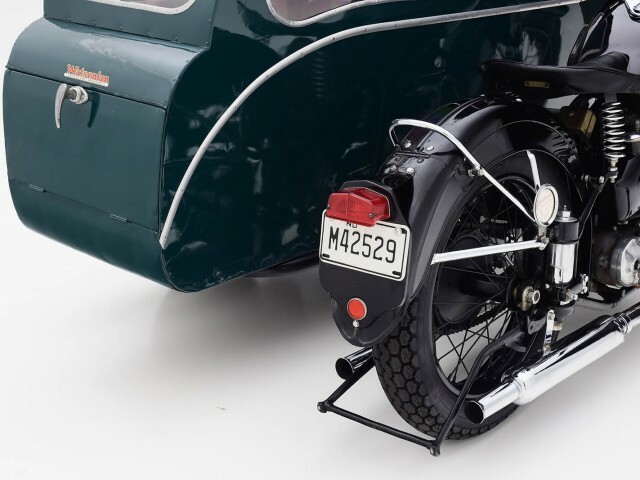 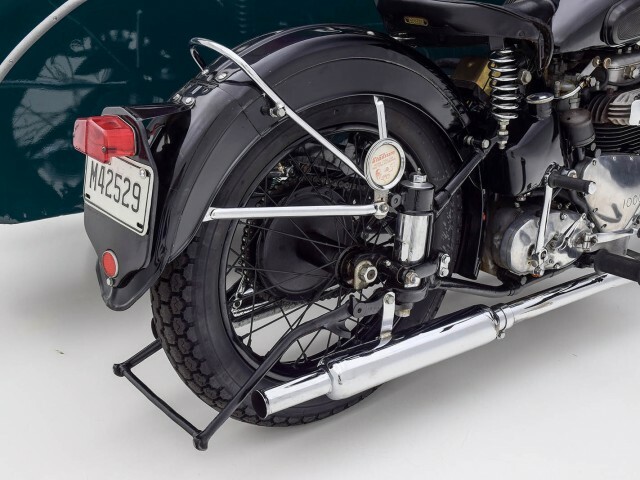 Two famous British motorcycling names are joined together in this uncommonly stylish post-war motorcycle-sidecar outfit certain to gather attention wherever it is seen and enjoyed. 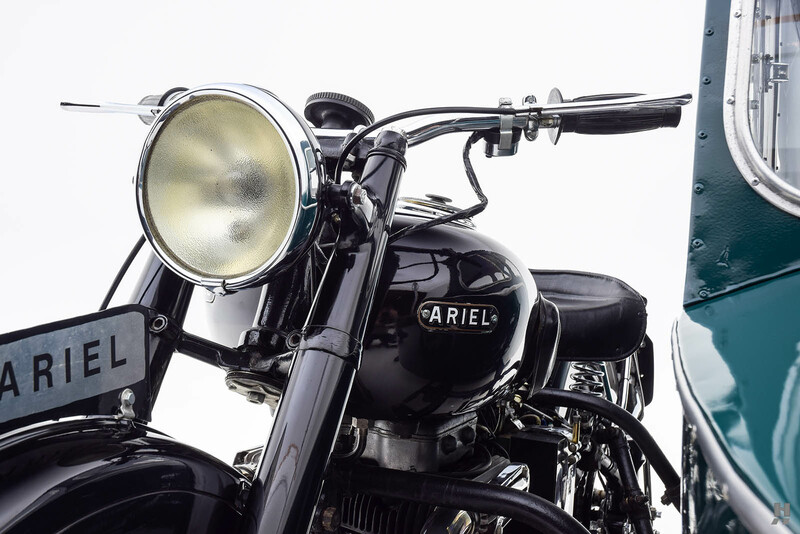 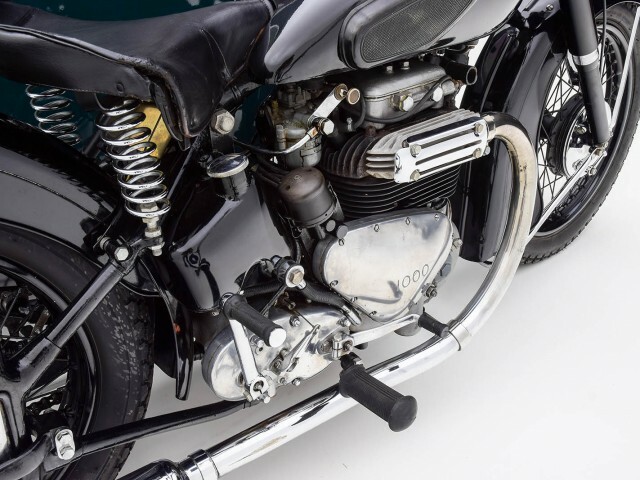 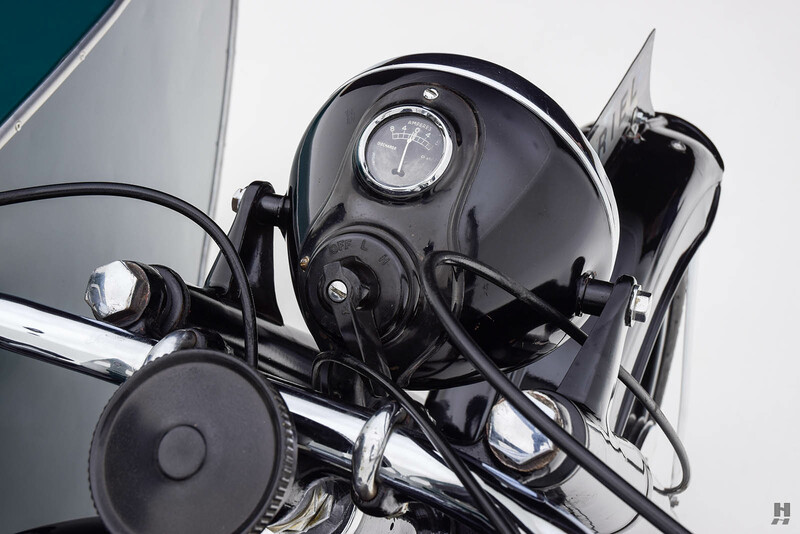 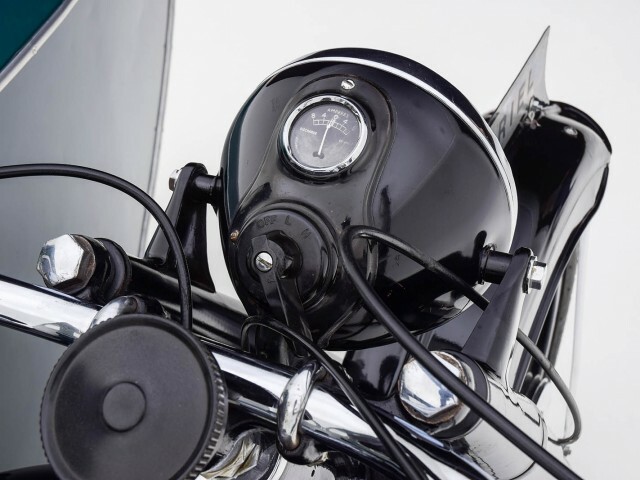 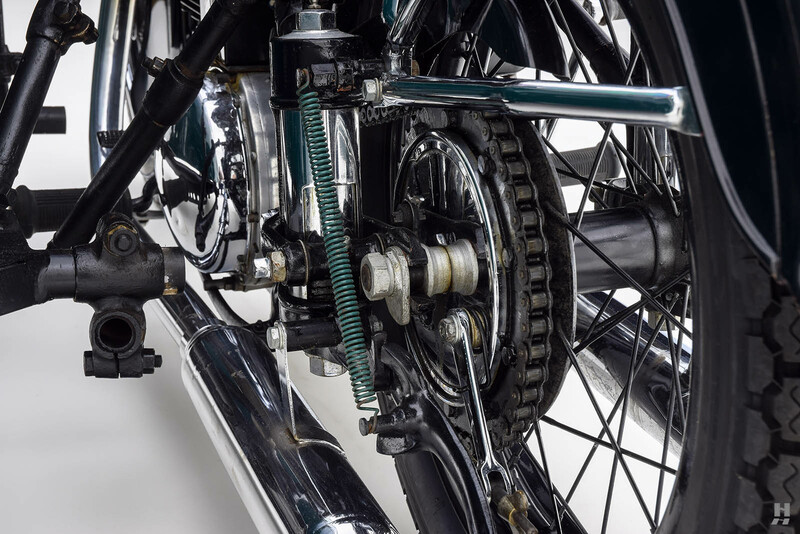 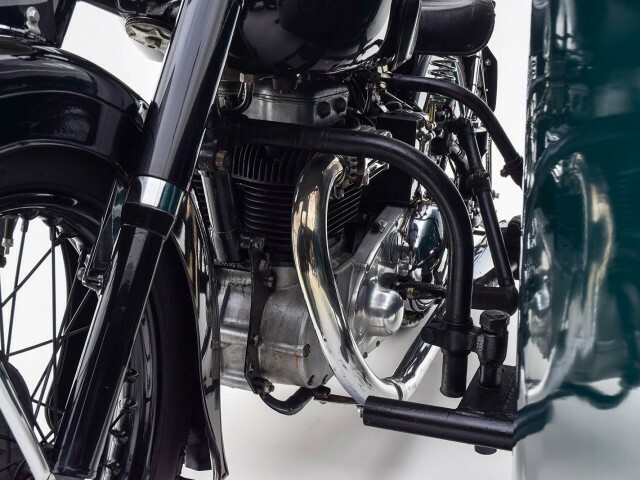 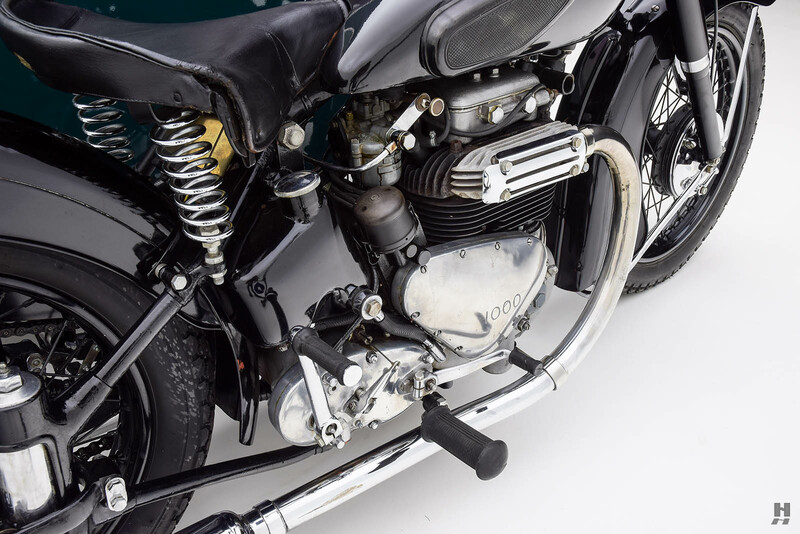 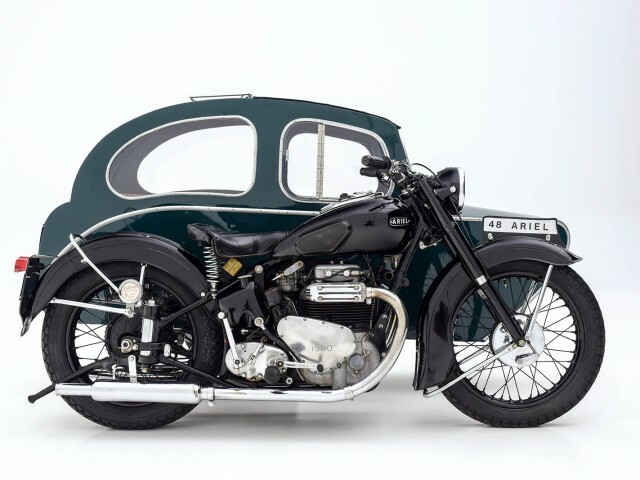 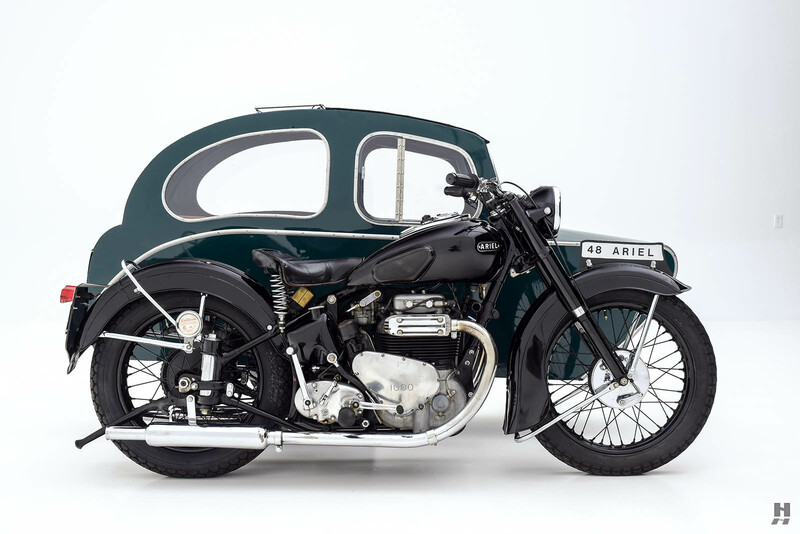 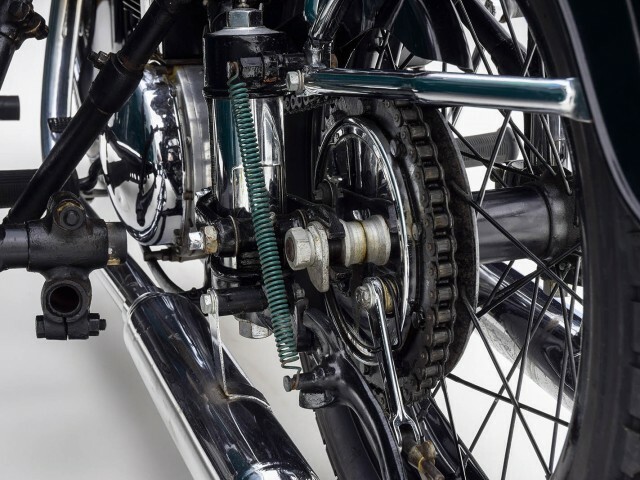 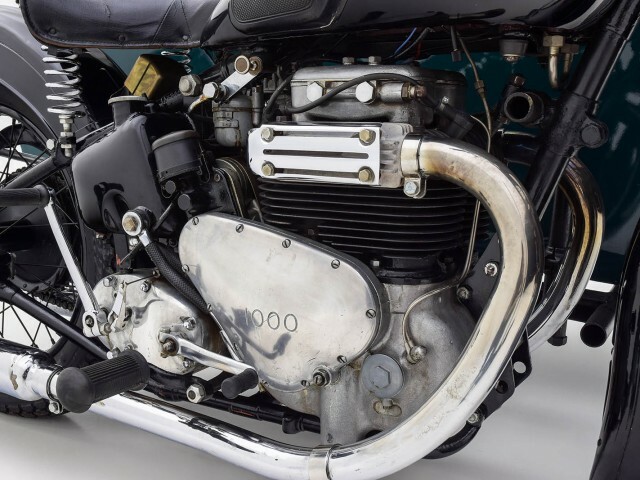 The Ariel Square Four was one of the most glamorous and best known of British motorcycles and has been described as “the smoothest British motorcycle of all time”. 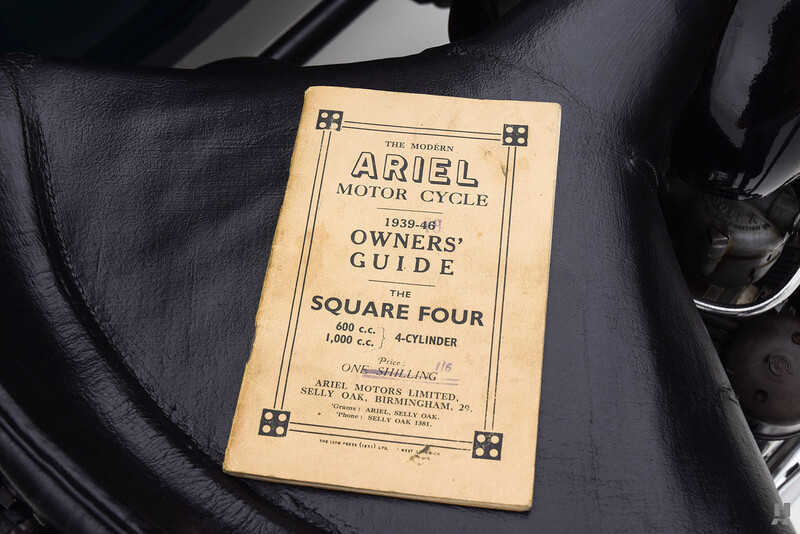 The Square Four was designed and brought to Ariel in 1928 by Edward Turner – who later became an industry legend at Triumph. 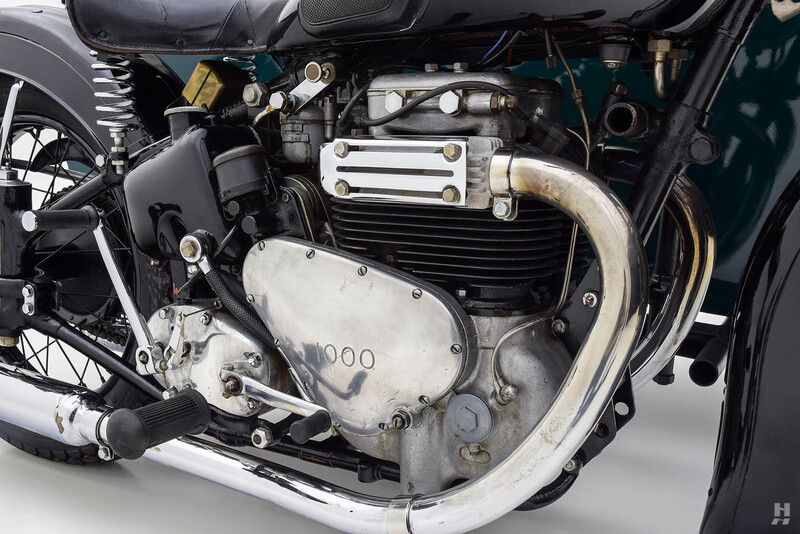 The innovative four-cylinder design mounts two cylinder blocks with parallel crankshafts turning in opposite directions on a crankcase located transversely in the frame, together with single overhead camshafts on each pair of cylinders. 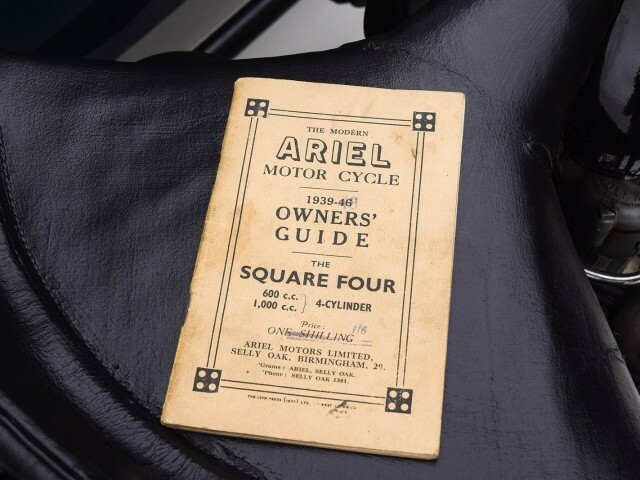 The Ariel Square Four was introduced as 500 cc in 1930 at the Olympia Motorcycle Show and enlarged to 600 cc two years later. 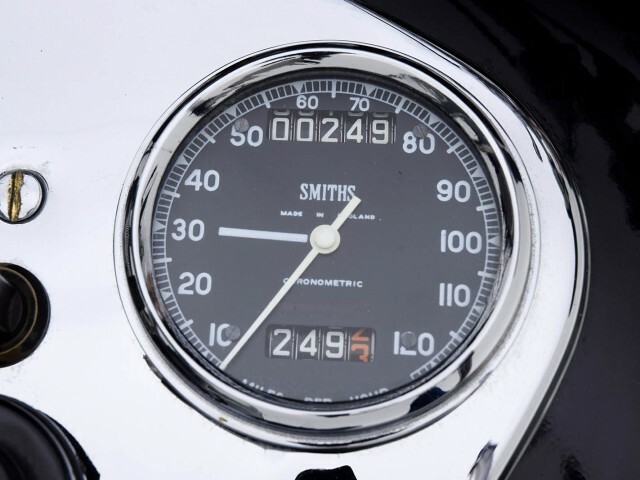 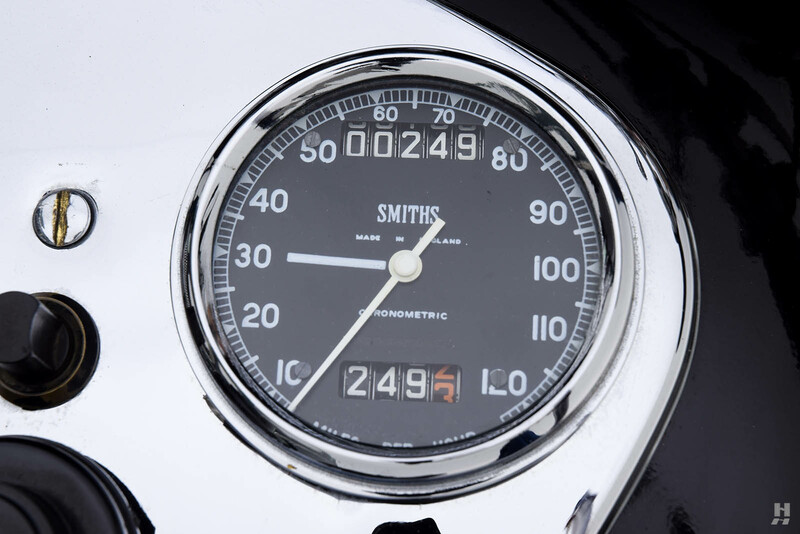 A new 1,000 cc Square Four was introduced at Olympia in November 1935, producing 38 hp @ 5,800 rpm. 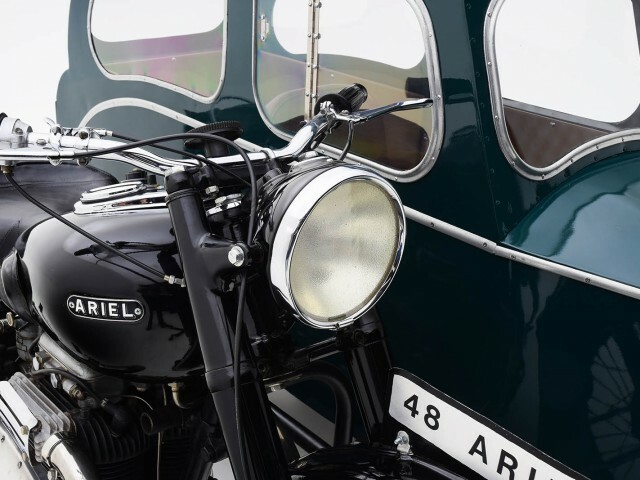 What has been described at ‘instant’ throttle response, smooth acceleration, reliability and compact packaging make Ariel 1,000 cc Square Fours highly desirable today and particularly well suited to pulling a sidecar. 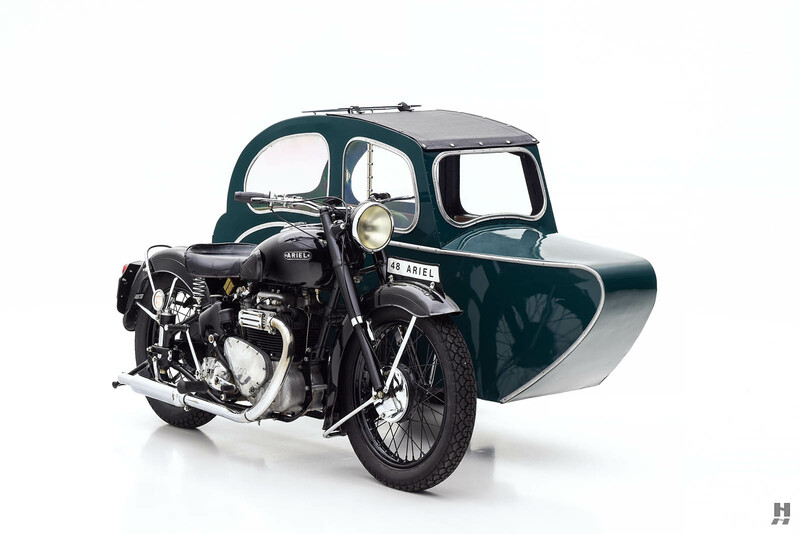 The Watsonian sidecar in this outfit was also manufactured by one of the most venerable names in British motorcycling; now the oldest sidecar manufacturer in the world more than a century later. 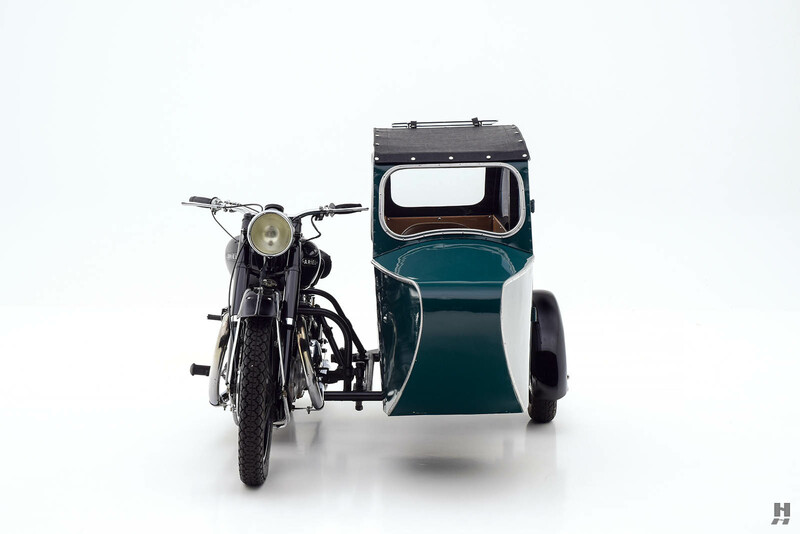 Watsonian was founded in 1912 to produce a clever folding sidecar that could pass through narrow spaces. 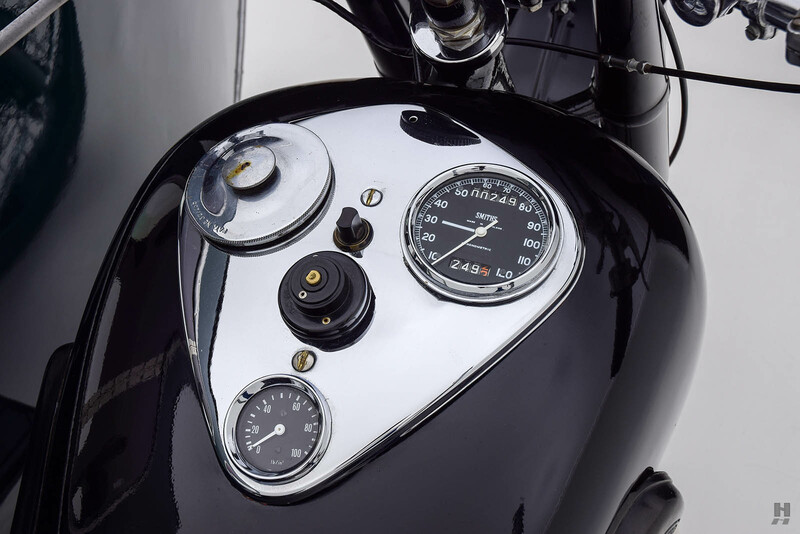 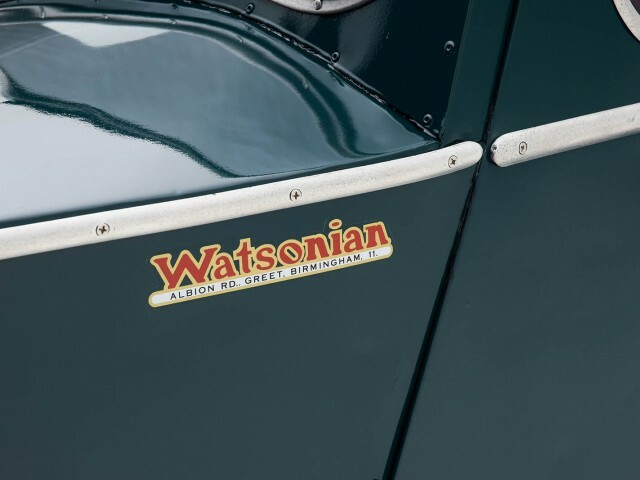 Throughout the pre-war years, Watsonian maintained a position as a premier builder of elegantly styled open and closed sidecars as well as “Speed” models intended for racing. 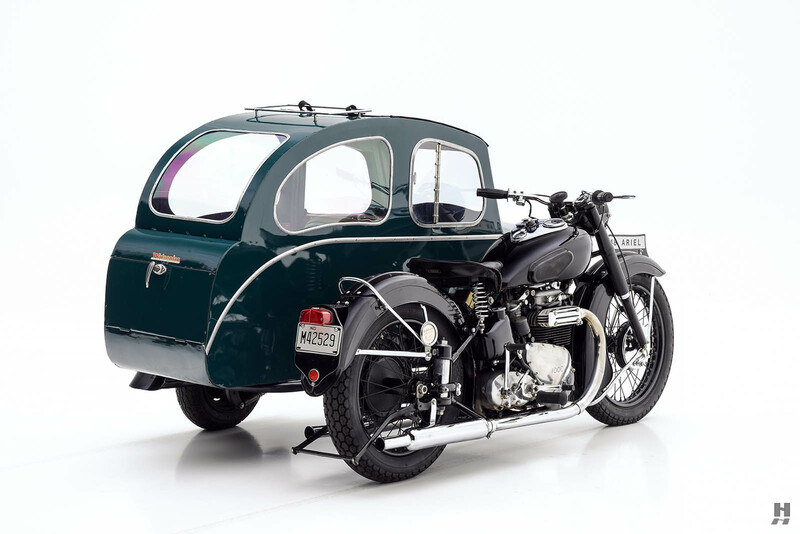 The early post-war years were a boom time for British motorcycle and sidecar manufacturers, filling the need for inexpensive transportation for a cash-strapped nation still rebuilding itself following WWII. 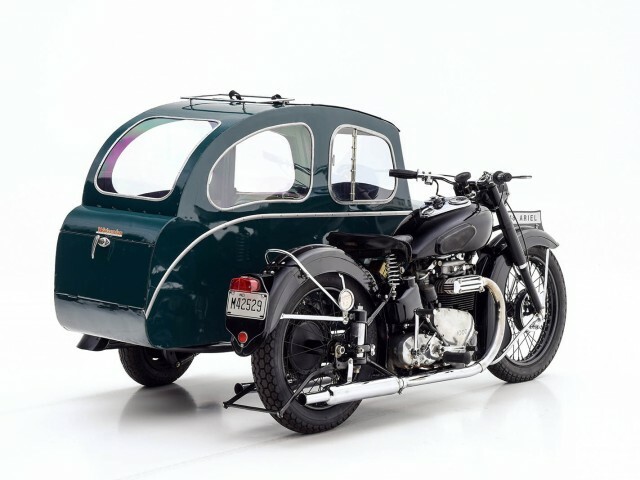 By the mid-1950s, nearly 140,000 sidecar outfits were registered on British roads. 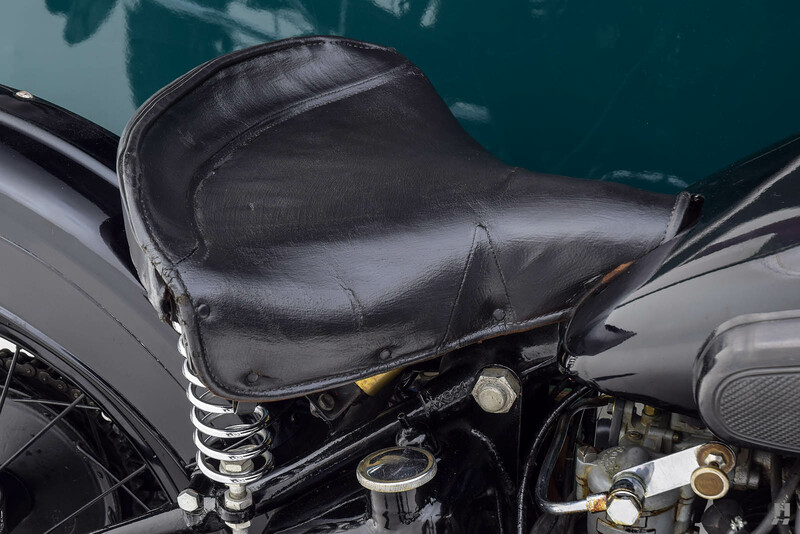 Half of them were built by Watsonian – who also built Sidecar World Championship-winning outfits in 1949, 1950, 1951 and 1954. 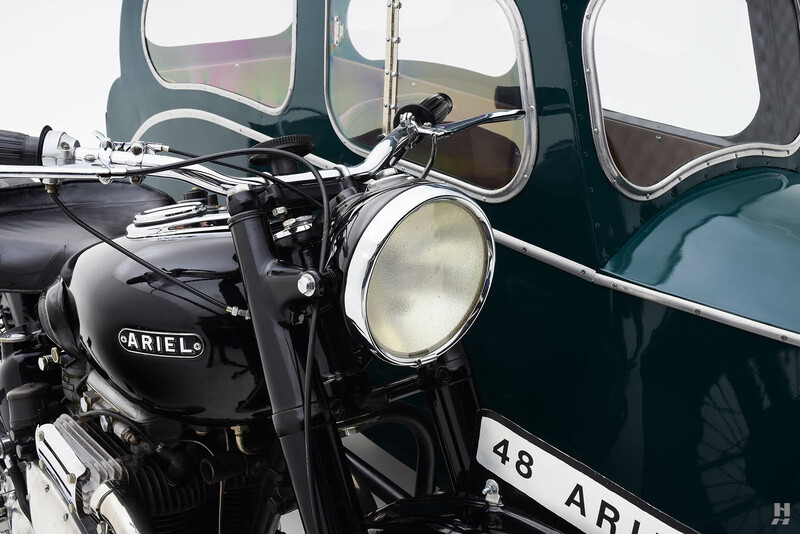 The Ariel-Watsonian outfit offered here is a unique combination of pre-war design and post-war execution. 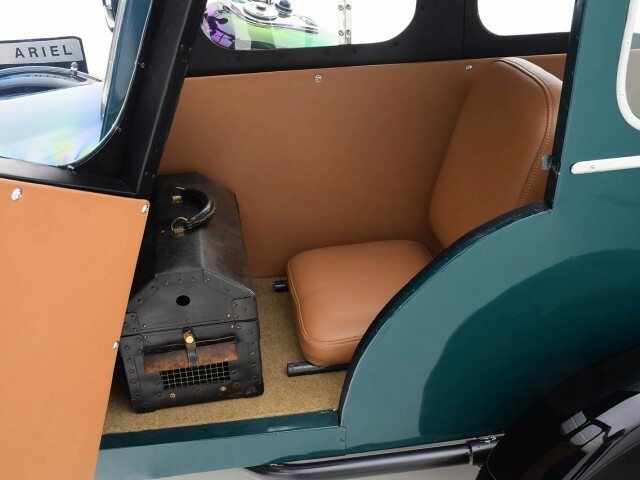 The vehicle is offered in very good original condition after being part of a private Seattle, Washington collection since the 1980s. 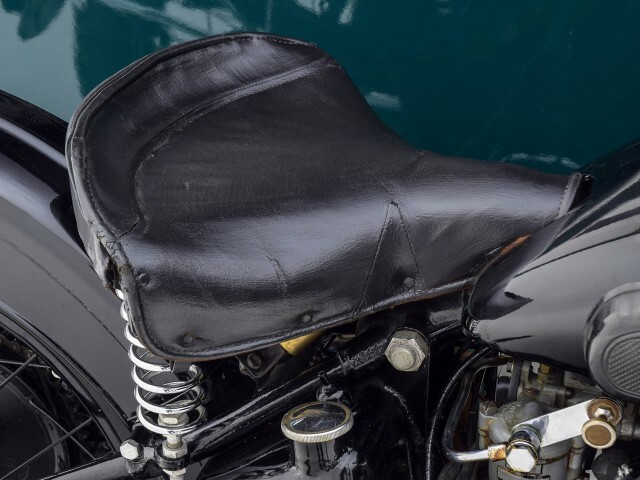 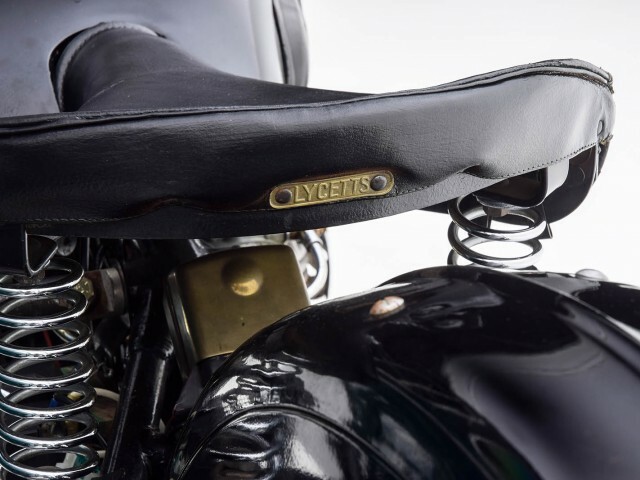 The black frame has been repainted and retains the original black seat as well as original trim, badges and hardware, including an RAC disc mounted at the rear wheel. 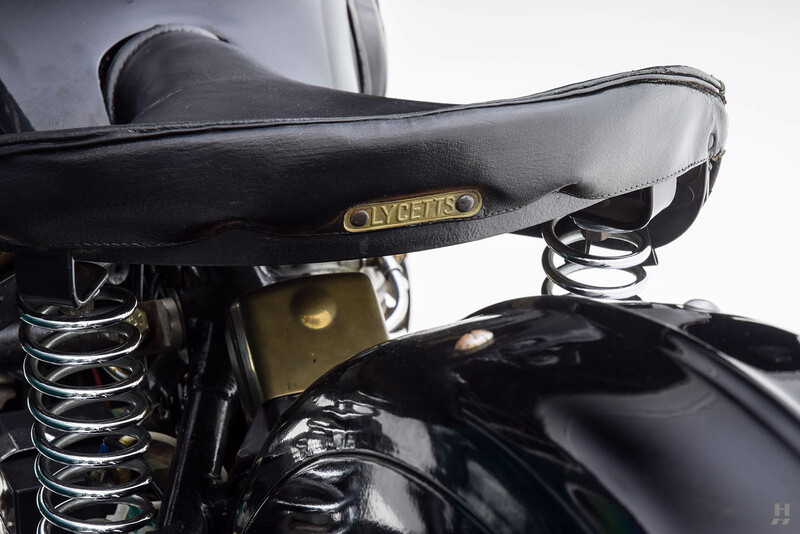 The finish shows nicks and chips as to be expected, with a pleasing amount of patina. 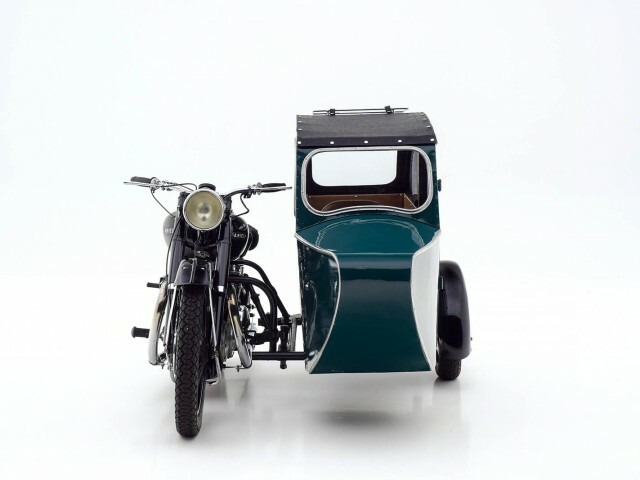 The Watsonian sidecar is simply a delight, finished in forest green and seating two passengers in tandem, front-to-rear, with access by a hinged door on the curb side. 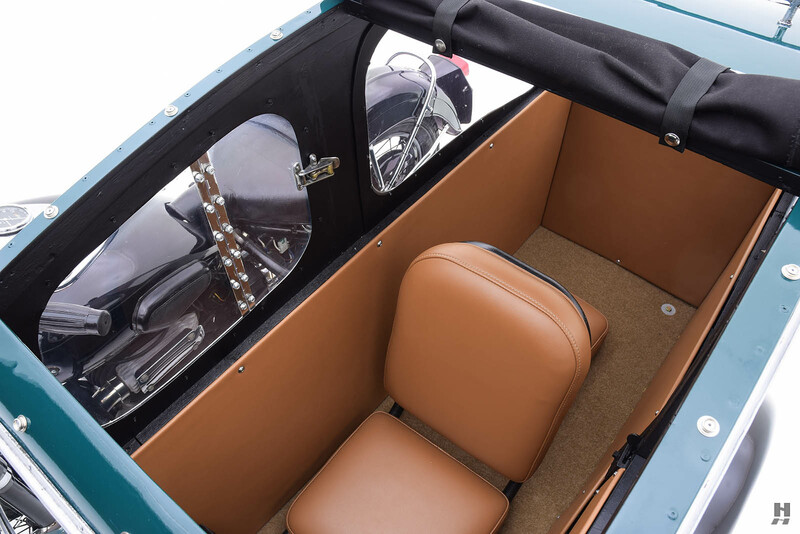 The interior is upholstered in a saddle colored weatherproof material. 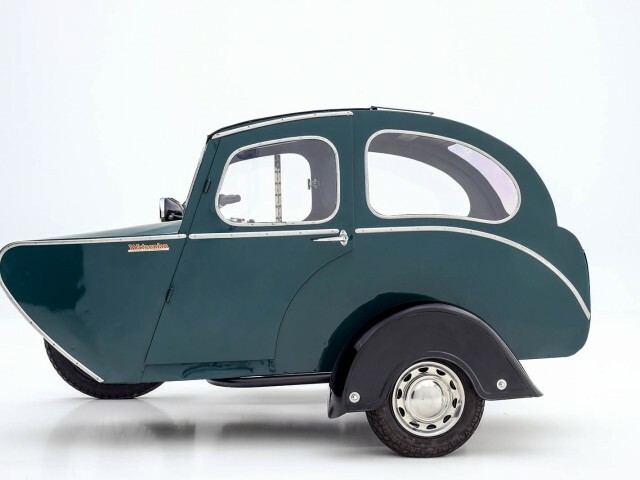 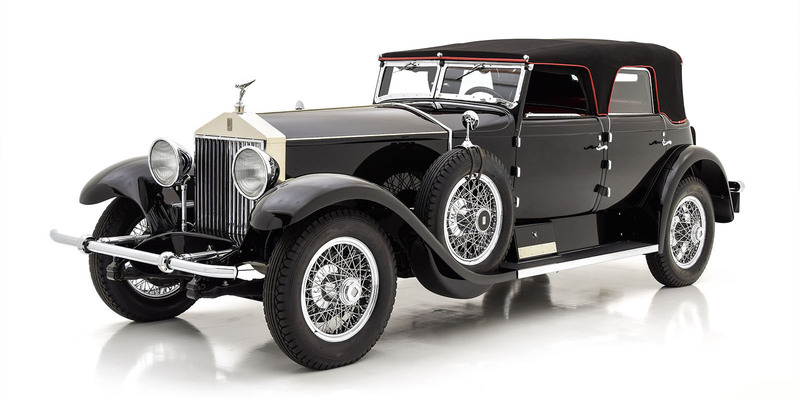 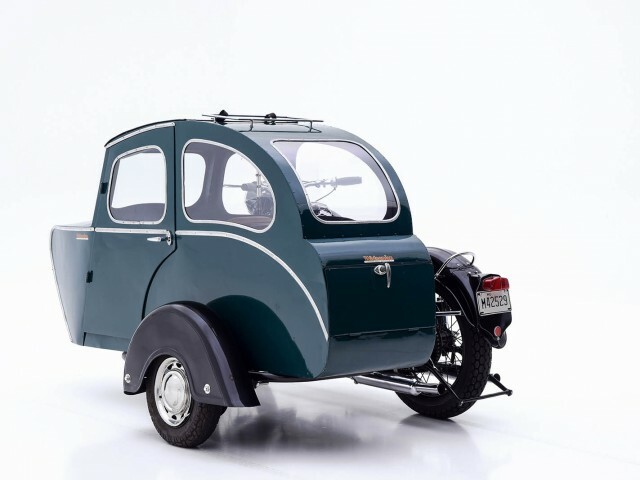 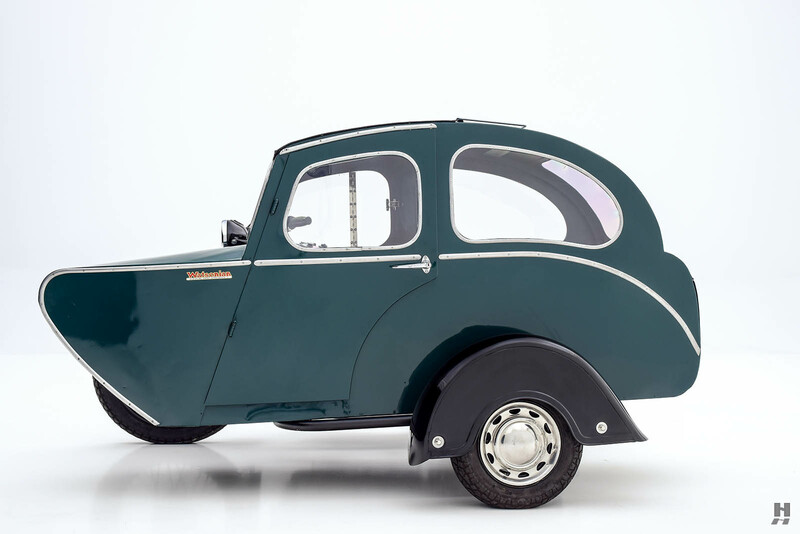 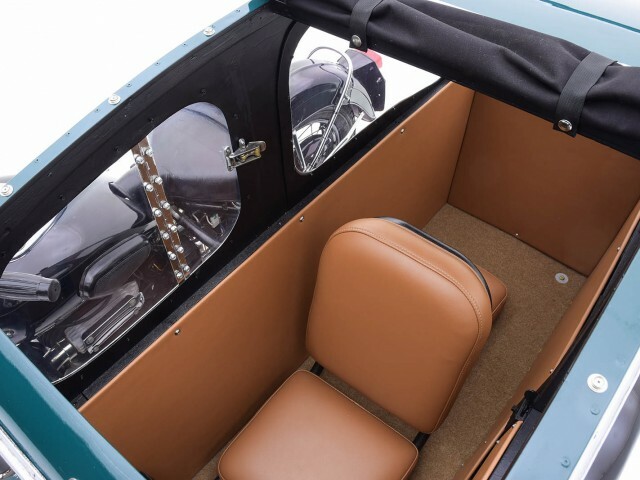 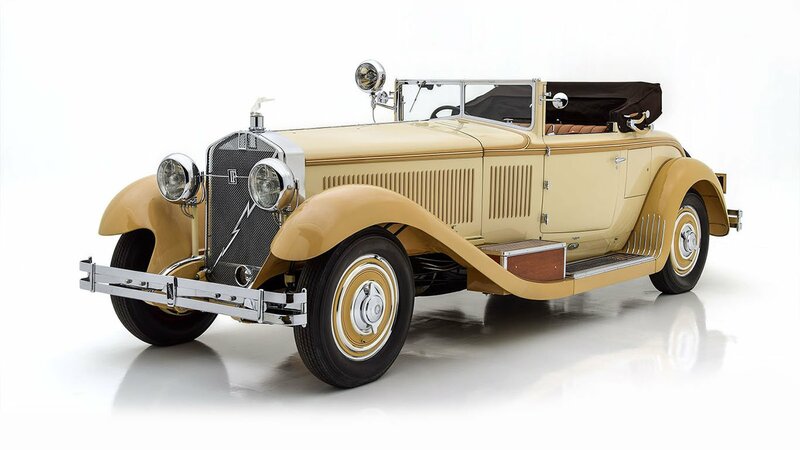 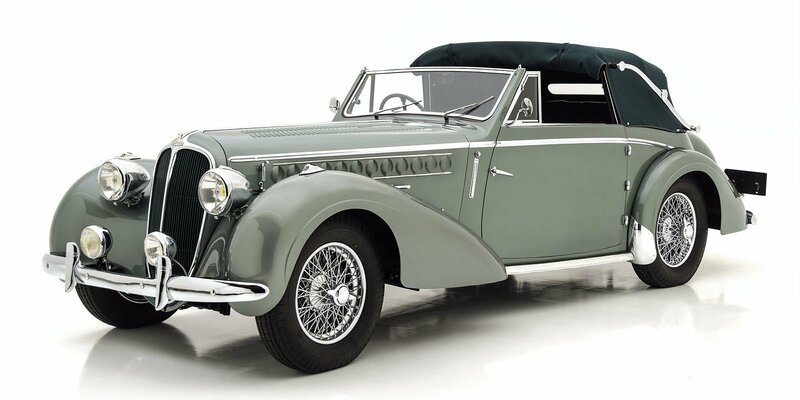 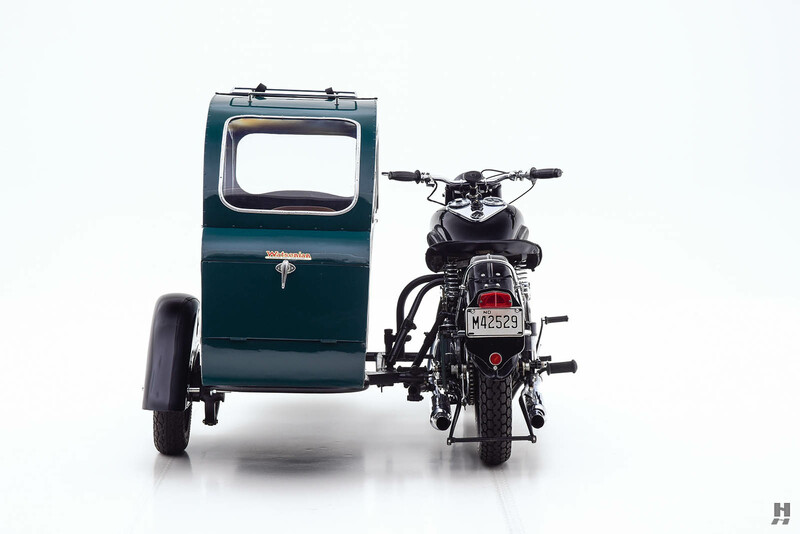 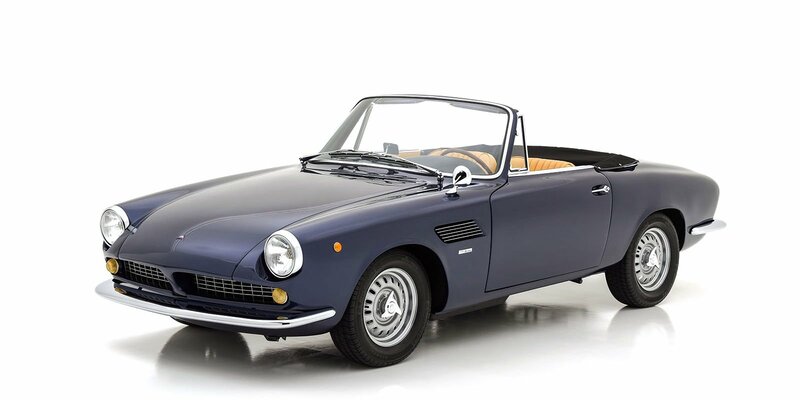 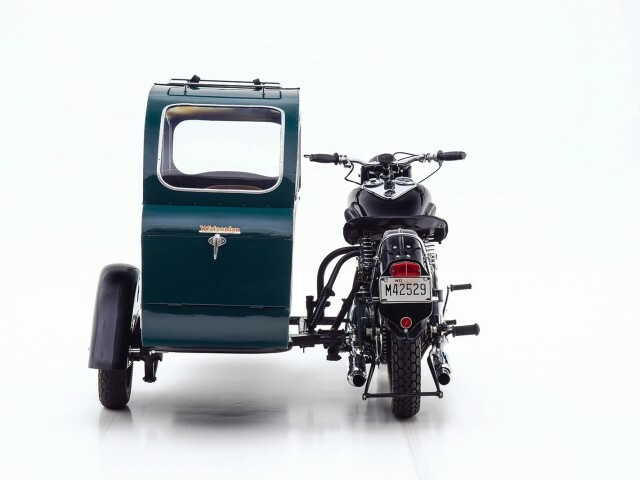 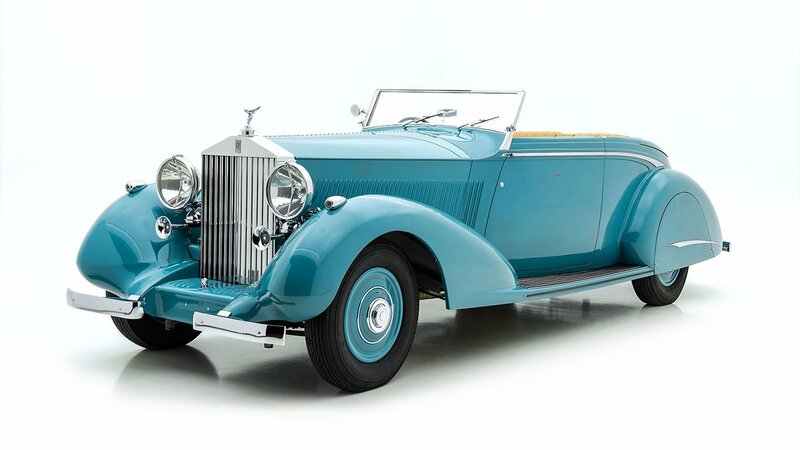 Unexpected comforts include plexiglass windows for full weather protection, a large canvas sunroof that rolls open from the front of the sidecar, a ‘locker’ incorporated into the rear of the car, plus a polished rack mounted on the roof for small pieces. 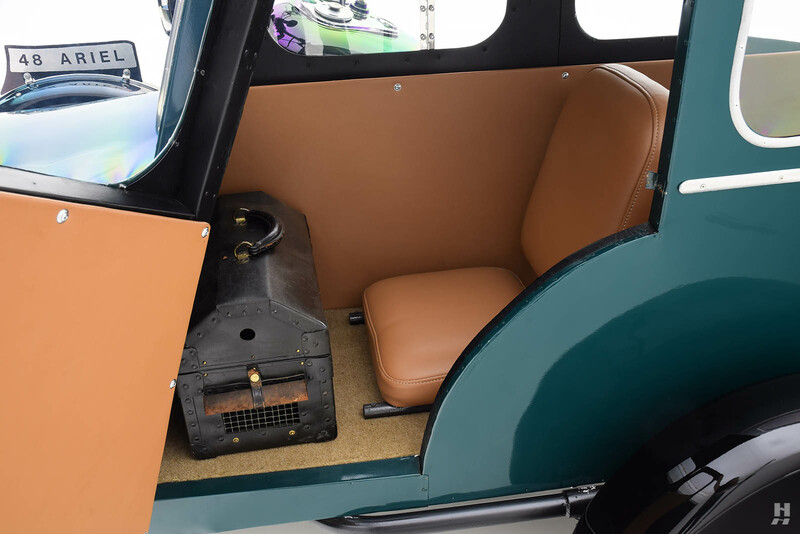 A tailored satchel in the interior appears to be intended to transport a dog in comfort. 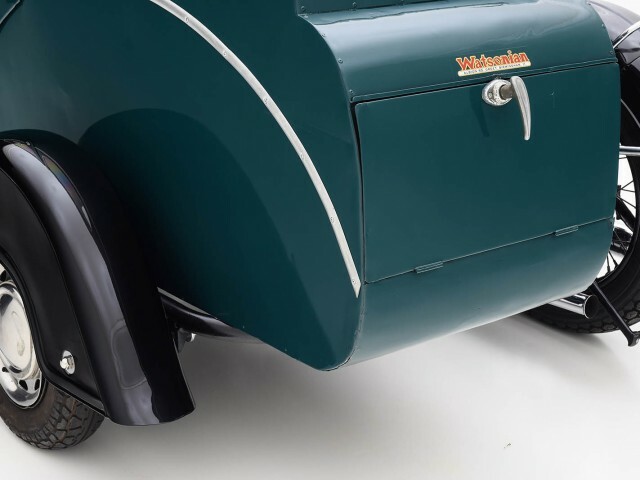 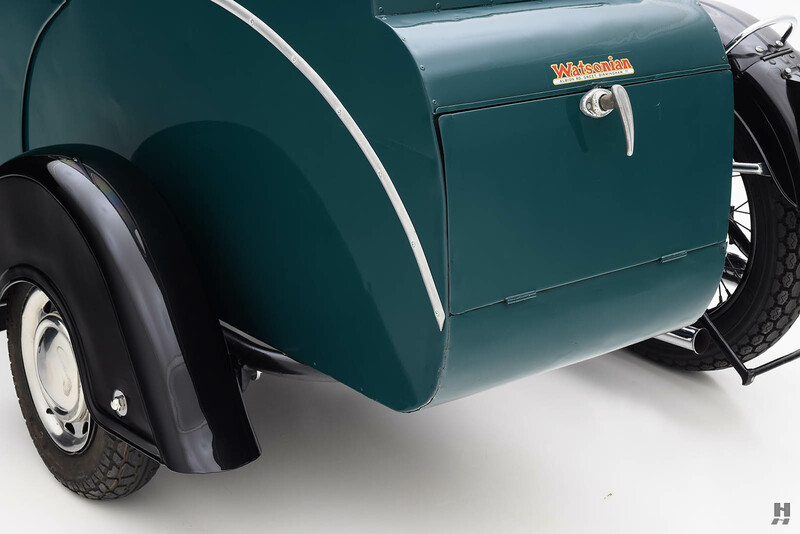 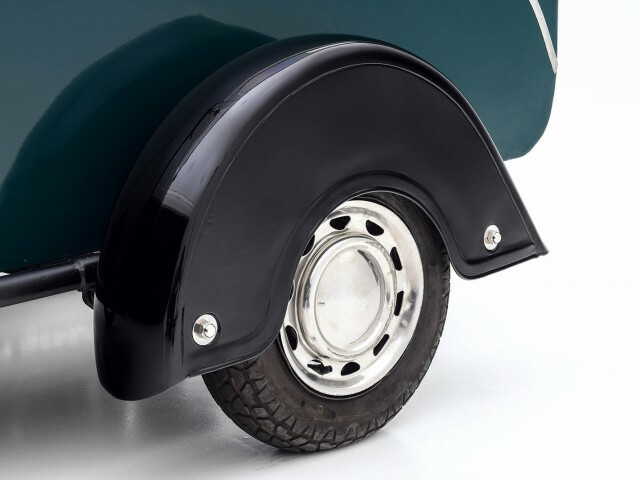 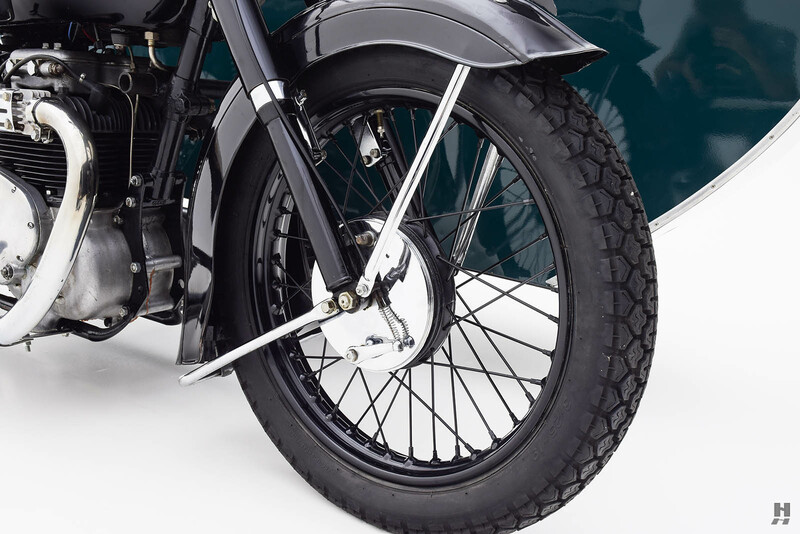 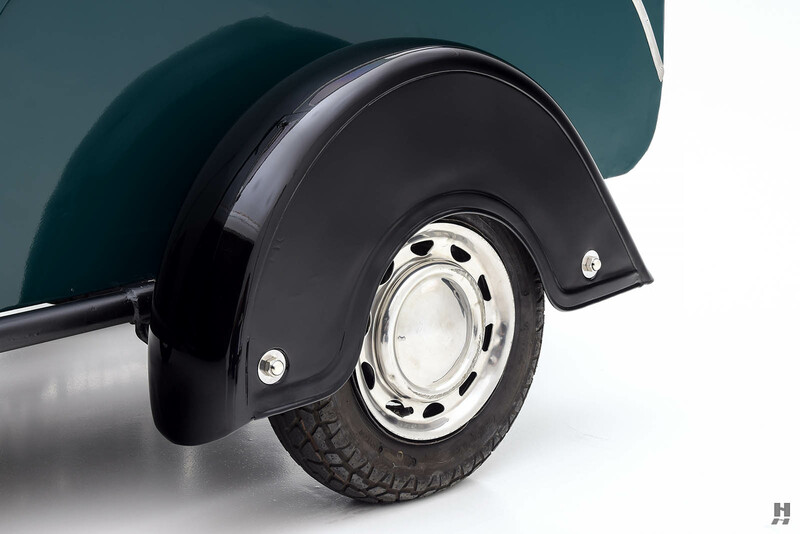 The art deco style sidecar fender and wheel cover complete the coquettish design. 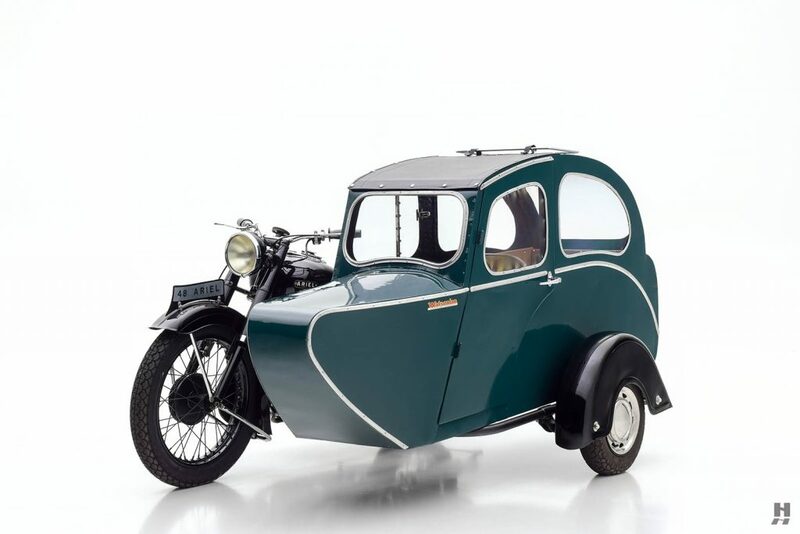 This very original and well cared-for motorcycle-sidecar outfit is completely sorted, runs and drives well. 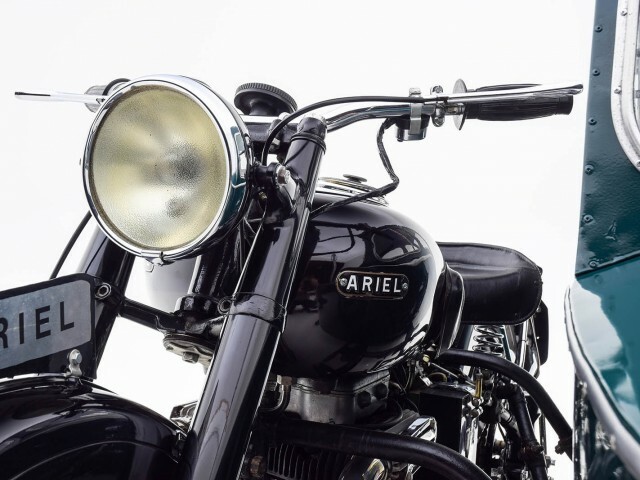 No words might better describe the experience than these used in promotion of the Ariel Square Four motorcycle, promising: “Good performance and comfort with a genuinely refined feel”. 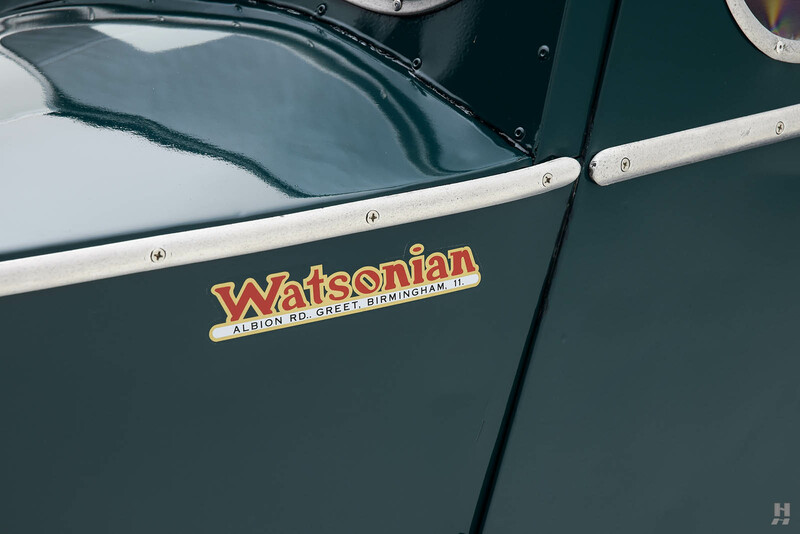 Sure to be welcomed anywhere.